Try The Sopranos next, G! Honestly, one of the funniest shows I've ever seen. Dunno why I didn't get into it earlier. It would probably have made my top ten for this poll if I had. Anthology series of one-off dramas with sci-fi and horror themes, presented and narrated by Serling. Reboot set for next year, hosted by Jordan Peele (if you didn't know already). 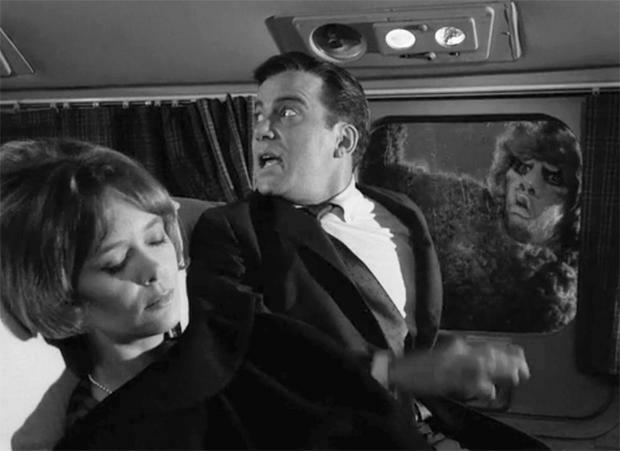 I watched Nightmare at 20000 Feet last night - first time! it was FANTASTIC! TZ is one of those strange shows that are both firmly of their time and yet truly timeless. They're rebooted the show before and even colorized it and it's never come close to Rod S's original. Why don't they just let well alone? For those of you who've not seen it, here's a classic piece of pre-TZ TV from Mr S - from, I think, a 1956 series called Playhouse. wow, what a great thread!